To think I was considering putting this dress back! 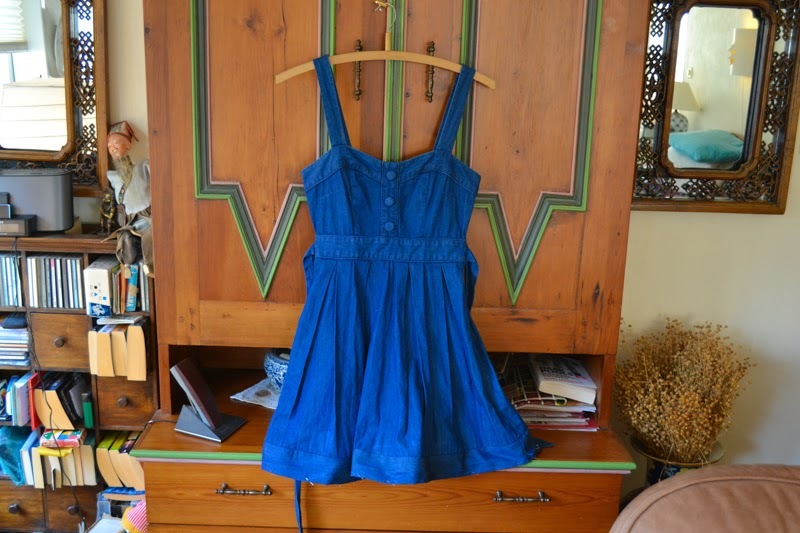 I want to share an easy DIY on altering the skirt of a dress from tulip, to full and flowy. I was considering leaving this after first trying it on. I loved the feel of the fabric and fit on top but the tulip hem ruined it for me. The gathered pleats can create a poufey fabric balloon around your middle which isn’t that flattering. But for around £4 I figured I could make some use out of it. 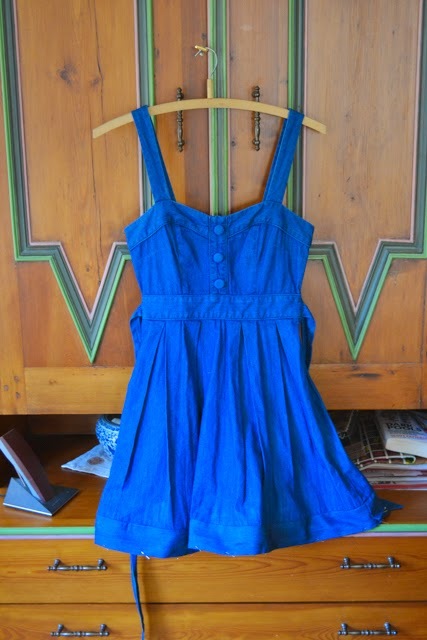 Luckily it has enough extra fabric in the hem to create an entirely different silhouette for the dress. If you have a similar project to undertake, you should be able to follow these simple steps. Just keep in mind these things. The fabric of your dress/skirt will be more difficult to manage if it is silky or delicate. This is a cotton weave, so it can handle a bit more than say a polyester chiffon. 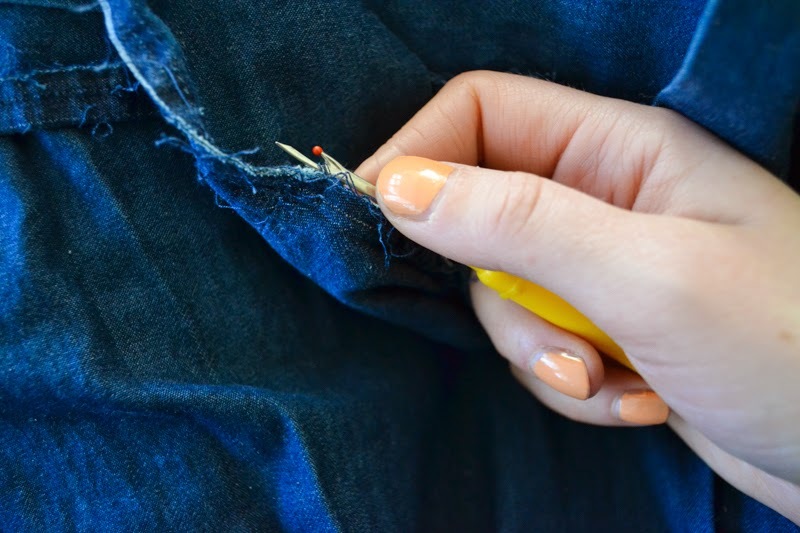 You also need to make sure to check how much “extra” fabric the current hem has, unless you are working on a longer skirt and don’t mind shortening it, or adding a separate hem from some other fabric. 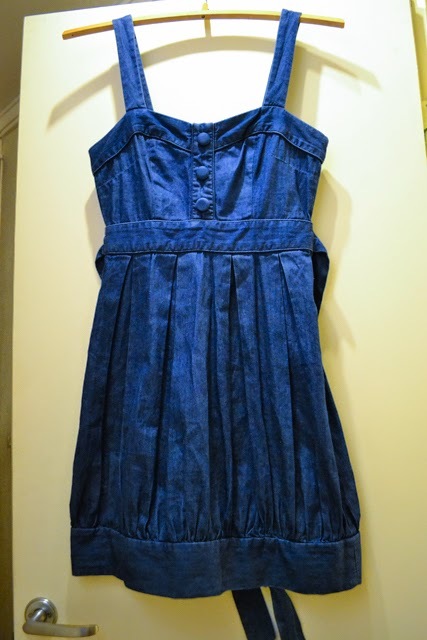 The hem on this dress consisted of a large piece that is folded double, so I knew I had a lot to work with. 1. Start by picking the stitches attaching the bottom hem piece to the rest of the skirt. The point is to separate this entirely so that we can make use of the fabric. When you are done you should have two pieces. 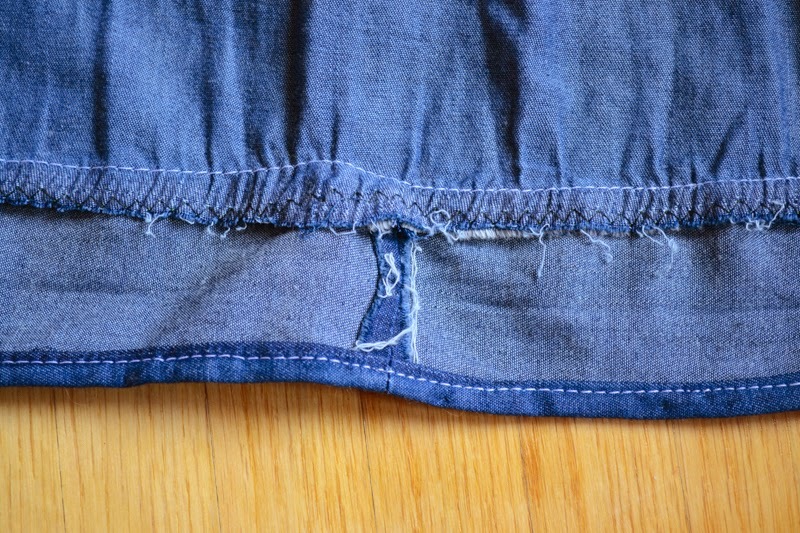 See how the lower part (the skirt) is crinkled while the top part (hem) isn’t. This is of course because the tulip style goes in at the bottom, and is actually hemmed to be tighter than the full width of the skirt. 2. 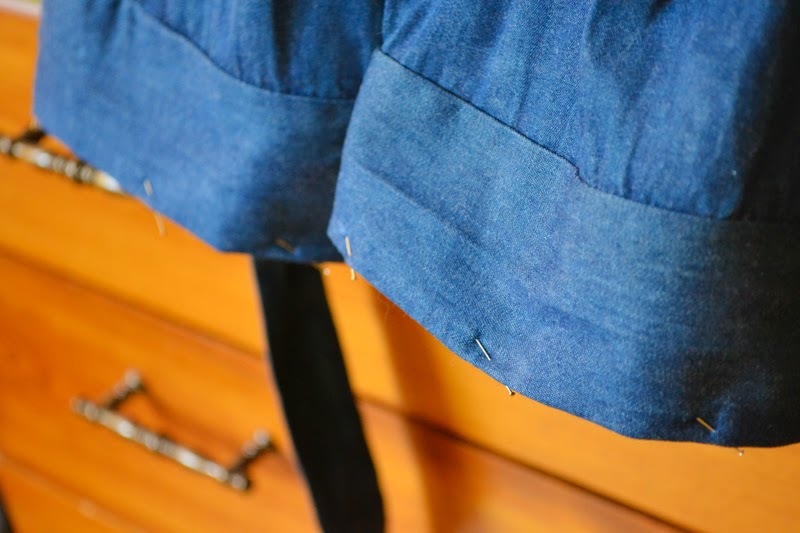 Iron the skirt to remove creases. 3. Cut down the middle of the hem piece, creating two long halves. 4. Sew the two halves of the hems together at on end to create one long piece. 5. If needed zig zag the edges of the fabric to prevent fraying. I skipped this step here as I was doing a folded hem. 7. Pin and sew the new hem piece in place on the skirt with a straight stitch, trimming off excess length if necessary. Make sure to leave at least 1 cm seam allowance so the stitches will hold. 9. Zig zag the hem and skirt 1 cm from the straight stitch, to prevent fraying and trim hanging or loose threads. Enjoy your new dress silhouette by dancing around until your head feels a bit funny and you have to lie down! I plan to wear mine all summer, with plimsolls and tanned legs.